So, there are a tonne of great expansions coming out this year - Great Western Trail, Santa Maria and Railroad Revolution to name a few. Lots of expansions just add that helpful fifth player, some just add extra cards which is nice, but don’t actually add anything to gameplay. What expansions really add to the game? Going to five players on the base game is always a great thing, but firstly, this expansion takes Lords of Waterdeep to a huge six player game! 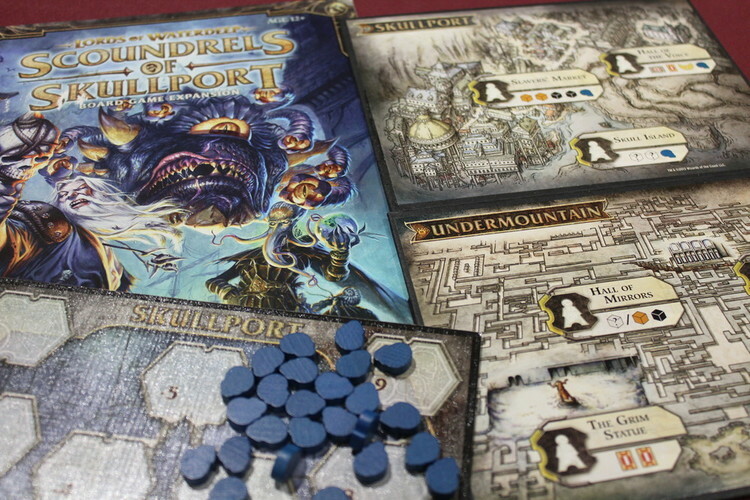 Scoundrels of Skullport is actually a two-part expansion - The Undermountain Module and the Skullport Module. The Undermountain module introduces new quests, intrigue cards and buildings. A lot of these quests need insane amounts of adventurers to complete, however they offer far bigger rewards. The Skullport module introduces corruption to Waterdeep. Each corruption in your tavern at the end of the game will give you negative points. Just how many depends on how corrupt you and your fellow players are! The more that is taken, the higher the negative value is. The placement board is also expanded, giving you some really tasty placement options, but they come with a price in the form of corruption, you can get a lot of goodies, but you are going to pay for them! However, new intrigue cards and quests help you get rid of corruption, or even force your opponents to take it. Scoundrels of Skullport is all about making things bigger and better, but that also comes at a price! There aren’t many games that go to seven players that aren’t party games, so 7 Wonders will always be a favourite with us. Leaders takes an already great game and steps it up a notch. Before even looking at era cards, each player is given four leaders and must draft them, just like in the main game, taking one to keep and passing the rest onto the next player. Playing these leaders costs coins rather than resources so each player starts with six coins rather than the usual three. At the start of each era, players choose one leader to play, pay the cost and place them face up in front of them for the game (alternatively, you can discard one for three coins like any other card in the game) Some leaders will give you in game advantages like reducing the cost of a specific card type, some will be end game bonuses. One thing they all have in common is that they are powerful, and they may even help determine your strategy for the rest of the game. 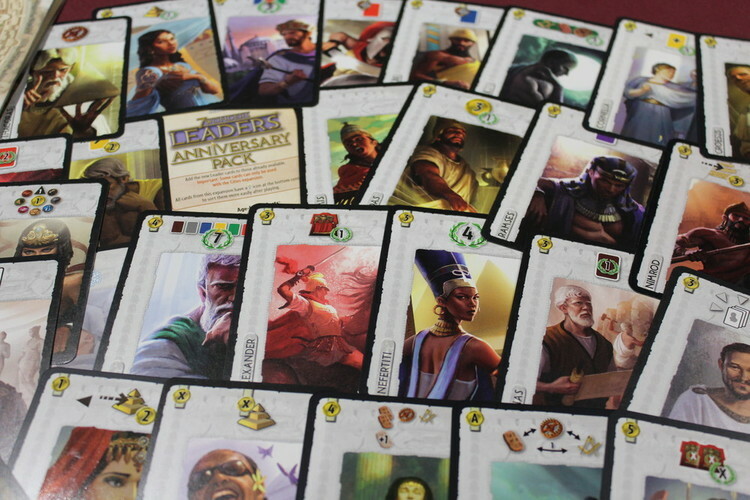 We love 7 Wonders so own all the expansions for it, but none of the others change the way you play as much as Leaders. I guess this is a bit of a cheat as I am talking about two expansions here but I didn’t want to have to choose between them! Russian Railroads is an already great game. These expansions add new player boards as well as new elements of play. The player boards on German Railroads have blank spaces with tiles you can choose from which vary the distance and direction you can go in with your rails. It also introduces coal as a commodity. Coal can be used to improve locomotives and factories. It also includes a solo mode. 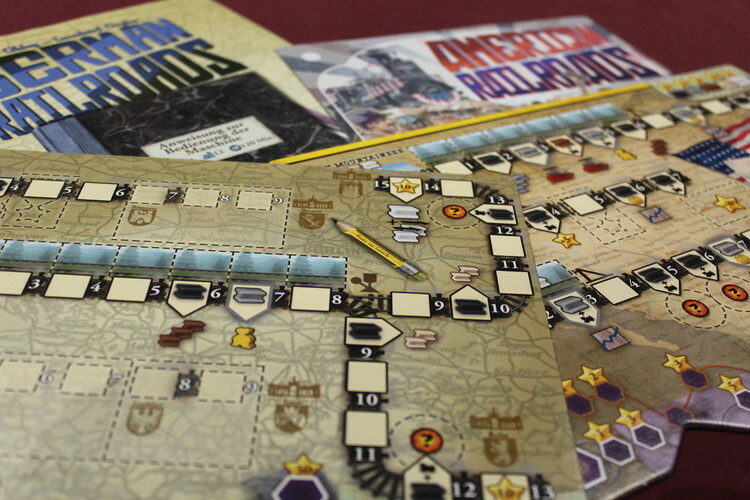 American Railroads again, includes new player boards. It also has spaces you need to demolish to get past and introduces a stock market board which grants extra bonuses. The new player boards have two industry tracks, you can split movement between both markers and even trigger the same factory twice in one turn. The new, second track also means you can zoom it up avoiding factories completely if you wish. Both expansions really shake up the way you play the game, meaning tried and tested strategies are useless and you need to completely re-evaluate your game play. Settlers of Catan was the first modern boardgame I played back in the mid nineties. At the time, it was new and exciting, however, after many plays those dice rolls just got me down! This is a game where you can do everything right but if those dice gods aren’t watching over you, you’re going to have a pretty miserable game. 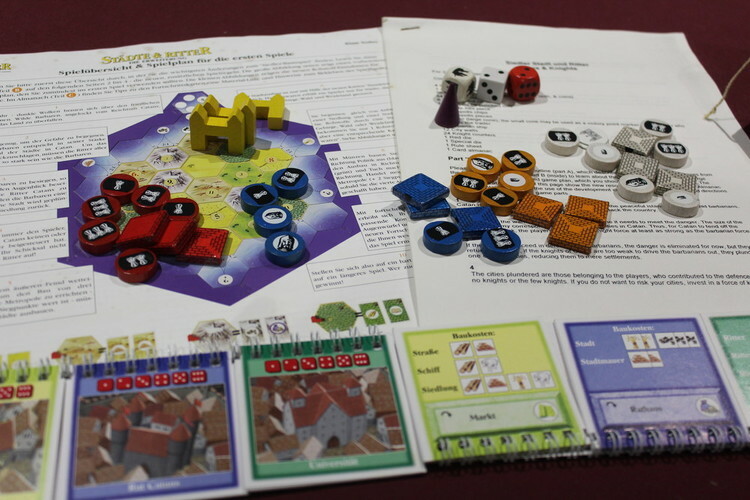 Cities and Knights adds more strategy and takes away some of the luck elements. As well as the potential of being caught by the robber, here, you have barbarians attacking the land and you risk losing your cities! You also have an improvement chart that can gain you development cards throughout the game. Build knights (using ore, sheep and wheat) to help defend the lands, protect your cities and give you points. Cities on ore, sheep and wood now produce commodities as well as resources. These commodities help you upgrade your improvement chart and give you a better chance of gaining improvement cards which can be super powerful. While I have a soft spot for the original Settlers, I won’t play it now without using this expansion! To be fair, a lot of the Dominion expansions added something neat and new to the game, but Seaside added a totally new concept to deckbuilders in the form of ‘Duration’ cards. All deck-builders are pretty fast paced and work on the set formula of draw your hand, do some stuff, discard your hand and redraw. Everything is based around those cards currently in your hand and that current turn. These Duration cards stay in play and may do something at the start or end of your following turn, or they stay in play until the clean-up phase of the last turn in which they're active, meaning far more planning ahead has to be done, leading to a more strategic game with long-term planning. This, along with more lower cost cards than any other expansion means more combinations are available to players earlier on in the game, changing the gameplay significantly.